Apple's stock price has declined around 9 percent from its all-time high of $156.10 in May, but Wall Street analyst Brian White believes the recent sell-off represents "yet another buying opportunity" as investors turn their focus to the so-called "iPhone 8" rumored to launch this fall. White believes Apple remains "among the most underappreciated stocks in the world," according to his research note distributed to clients today. A copy of the report was obtained by MacRumors. In our view, Apple's quarterly results will be less important this summer as investors are focused on the iPhone 8 this fall, along with the company's raised capital distribution initiative, depressed valuation and new innovations as showcased at WWDC. We still believe Apple remains among the most underappreciated stocks in the world. White, an Apple bull, added that the upcoming iPhone cycle is setting up Apple to reach his $202 price target over the next 12 months, which would value the iPhone maker as over a trillion dollar company based on market capitalization. Apple's current market capitalization is around $737 billion. Similar to the bottoming process in Apple during the summer of 2013 that drove a strong rally into the spring of 2015, we believe the bottom in the stock during May 2016 and the upcoming iPhone cycle is setting up Apple to reach our $202.00 price target over the next 12 months. 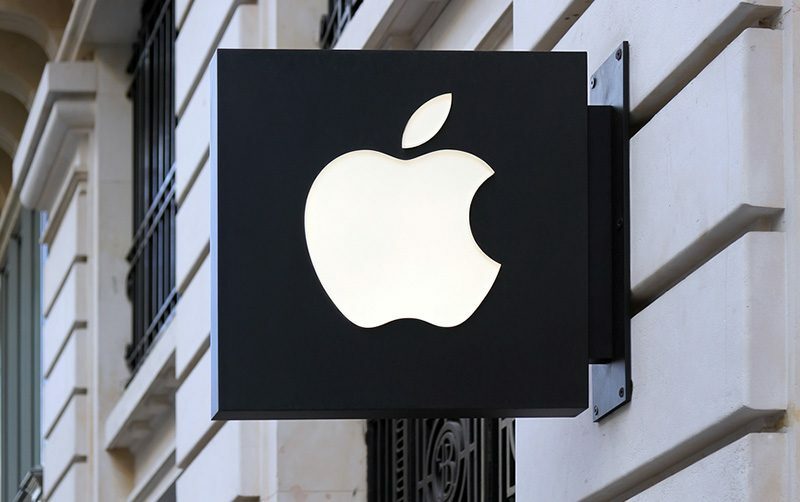 In May, RBC Capital Markets analyst Amit Daryanani also said Apple could reach or exceed a trillion dollar market cap within 12 to 18 months, with a stock price of $192-$195. Like White, Daryanani said the "iPhone 8" will be a major catalyst towards Apple's path to a trillion dollar valuation. White maintains the highest price target for Apple's stock among all institutional analysts. AAPL closed at $142.73 on Thursday. Well, their success clearly confirms that they obviously produce products that people WANT. But seriously - where and how exactly do Apple products make this WORLD a better place...? I FaceTimed with my dad the day before he succumbed to cancer. I live half a country away, and we spoke regularly with our miracle little iGadgets. I bought him an Apple Watch to remind him of his hundreds of appointments and prescriptions and so he could monitor his sleeping and arrhythmia. I frequently watch the 4K video I shot of him and my family, and it's almost like being there again. I recorded voice notes of some of our conversations, and some days it sure is nice to hear his voice again. Be as cynical as you want, but Apple's products have certainly made my world better. I'm grateful to have them. One trillion dollars, mwhahahhaaaaa, mwwwaaaaaaahhhaaaaaa, mwahahhahhaaa!!! [EDIT] Pic link dead, updated pic to one that works..
EDIT — I meant 5400 rpm. Sorry for this mistake! Well, their success clearly confirms that they obviously produce products that people WANT. But seriously - where and how exactly do Apple products make this WORLD a better place...? And those gigantic earnings are just sitting unethically on foreign bank accounts, doing nothing for anybody - even by capitalistic standards, that's a useless waste. The money that Apple, Microsoft and other mega-corporations are stock-piling just to evade taxes could REALLY solve a lot of problems on this planet and could REALLY turn this world into a better place. But instead, we applaud them for doing absolutely nothing with it. That's not just sick, that's revolting. And, don't forgot Apple went almost bankrupt in 1996. Hmm. I think it's come mostly from making products socially desirable, and overcharging to maintain massive profit margins. Apple wouldn't be half the value if they products were priced reasonably. I don't get the unethical part. If anything, what's unethical - as well as arrogant and misguided - is the U.S. government taxing economic activity which legitimately occurs outside of the United States - i.e., extraterritorial taxation. That said, the money in question is not "doing nothing for anybody." Money, for the most part, isn't ever doing nothing unless it's being held in physical form - e.g., if you have thousands of dollars squirreled away under your mattress. (If it isn't being spent) it's either invested in something or loaned to someone, in which case they most likely are doing something with it. Money sitting in a back account is doing something, it's just that the account holder isn't the one deciding what it's doing. Apple's money is doing lots of things. It's loaned to various governments, it's loaned to people (through mortgage-backed securities) to facilitate their buying houses. A large portion of it is loaned to other companies and thus helps fund what they are doing - expanding operations, making acquisitions, building things, paying employees, etcetera. Earnings not being repatriated doesn't mean that they are sitting in a foreign bank account. Apple's unremitted earnings, e.g., can be in U.S. bank accounts or in U.S.-based financial instruments. Much of it is loaned to the U.S. government and other U.S. businesses (directly, not because it's in a foreign bank which has loaned it to them). Maybe they should start paying a bit more tax...?